Seems that it’s getting harder and harder to find uniquely new green smoothies to post! But, it’s still possible and I’ve found another! 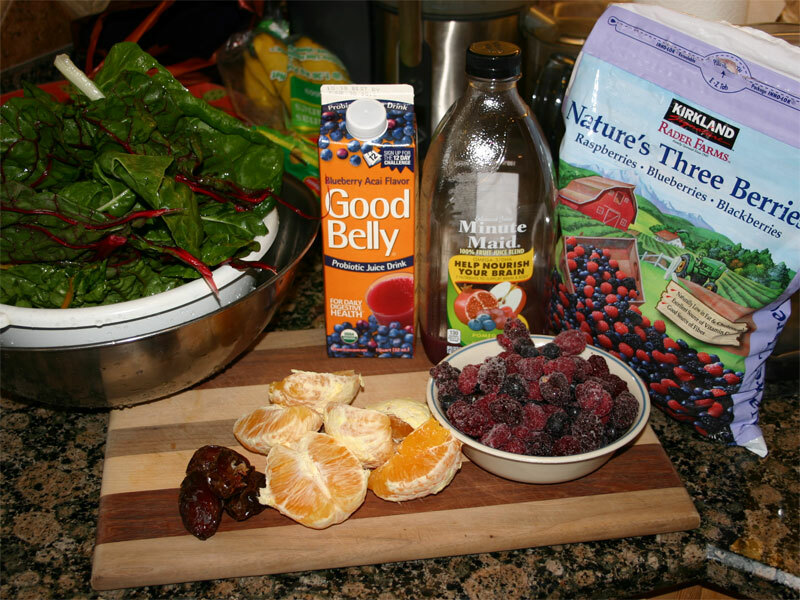 This triple berry smoothie is a delight – flavorful and rich. You’ll want to give it a try. 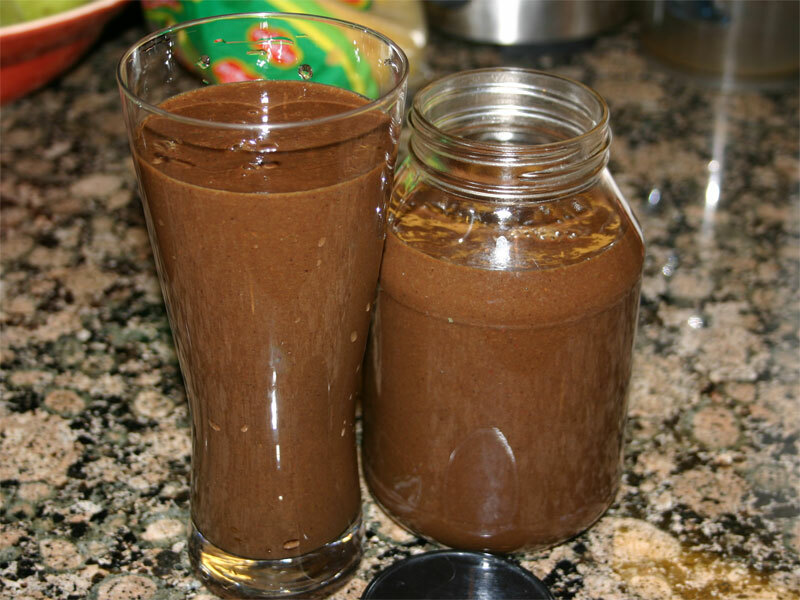 A couple weeks ago, I started to cut down on coconut milk in my green smoothies. Sure, it provides great texture and flavor, but I wanted to remove a little fat – or, rather – move the fat consumption to later in the day. 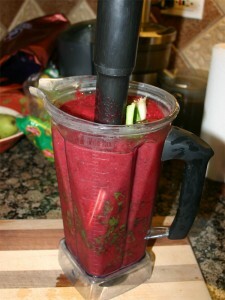 With the green smoothies, I wanted to get back to just greens and fruit. But I still don’t recommend water as the base, thus for the last few days I’ve been playing around with “Help Nourish Your Brian” (lol) juice. Not wanting to put the extra work into making juice for the base, I’ve taken the easy way out by using commercial juice. But what’s special about this juice is that it tastes like pomegranates. It actually has a pretty strong flavor. And, well, that’s what I’m looking for! 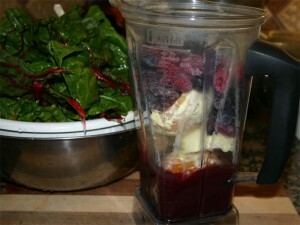 This particular juice accentuates the “Nature’s Three Berries” mixture (blueberries, raspberries and blackberries). When you use the strong dark juice, it adds to the berry flavor in this smoothie. 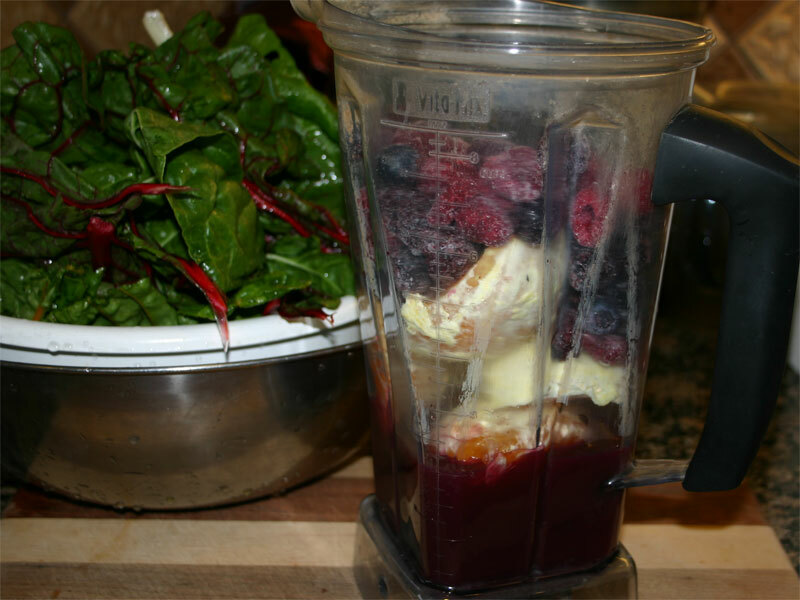 This strong flavor definitely covers up the Swiss Chard flavor (beet flavor) that’s typically hard to hide. I’ve made this one for the last couple days and it’s not getting old. I highly recommend it for you’ll find it easy to get extra greens this way! Remove the seeds from the dates and peal the oranges and add all the fruit to the blender. Give it a spin for 15 seconds or so. It will come out like ice-cream! Be careful pressing in all the greens. It will take some muscle, but you don’t want to splash the mixture onto your clothes – this stuff is natural dye! 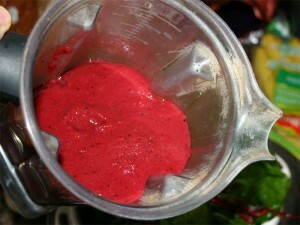 Once the greens are packed in, blend until smooth. You’ll want to let this one run for a while in order to really break down the seeds. Because the seeds are frozen, you can run this one for a while. Feel the side of the blender. If you feel any heat, you’ve definitely run it long enough! The recipe I list here makes 2 quarts. When they taste this good, I find a way to work the second quart into my day. Note that the oranges are ‘filler’ so if you don’t want as much, cut back on the volume of orange you add in! There are so many great tasting green smoothies that I’ll bet I’ll be posting new recipes for years! I can’t wait for cherry season; it’s just around the corner. I’m sure it would do well as the berry mixture in this recipe! Consume life, be life, give life – light is life!